It is always overwhelming to receive a surprised package in the mail. You have no idea on what is inside the package until you opened it and you are indeed in a shocker. I love makeup ever since I was a little girl; I like to apply different colors on my face and see what I look like on it. I like watching my mother who likes to wear makeup in such occasion, I assumed that I was fascinated with the way she uses them. When I heard and saw about #BeautyBox 5 online I immediately wrote them and ask if I can work on a product review. Without any for do response, they sent me a good complimentary box. I’m glad that they are also thrilled to have me as a reviewer of their sample product. The Beauty Box 5 is a monthly subscription of sample products from different brand and delivers right at your door. I got my #BeautyBox 5 in the mail through USPS. Their packaging is secure and I love the light color blue. 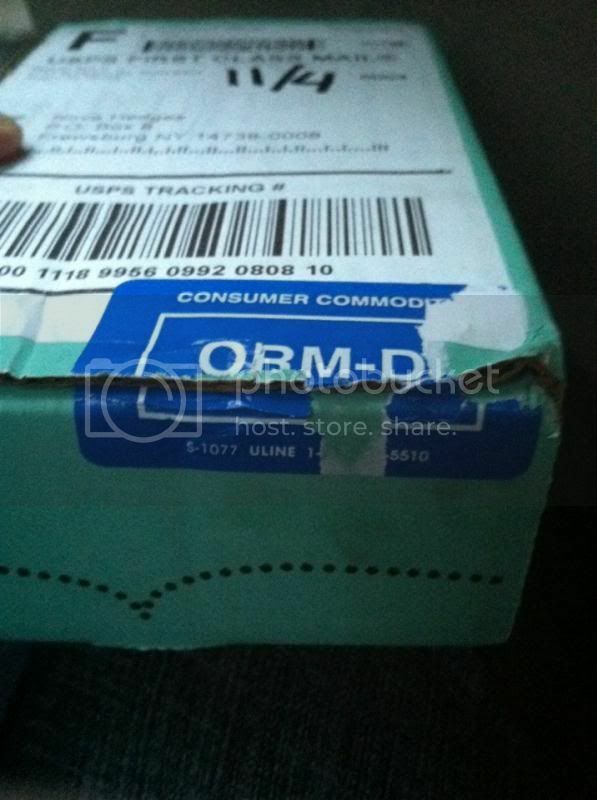 Something I noticed when the blue sealed is sliced up, not sure, if it’s due to the transportation or what. It is a relieved when I opened the box and everything seems to be inside. #Beauty Box 5 sent me an AVEENO – Daily moisturizing lotion – 1 Oz, Model Co – Illusion lip pencil – one size, Swissco Glitter Toe Separations – one size, La Fresh – Travel Lite Facial Cleansing wipes 8 wipes, Nubar – Alter Ego Nail Lacquar - .25 Oz. Getting a subscription box from #BeautyBox 5 is something surprising and great. Exciting, as you don’t know what will be inside the next box. There are also brand new names that I have not used before. A great way to explore another brand to see if that is something a customer would like to keep. 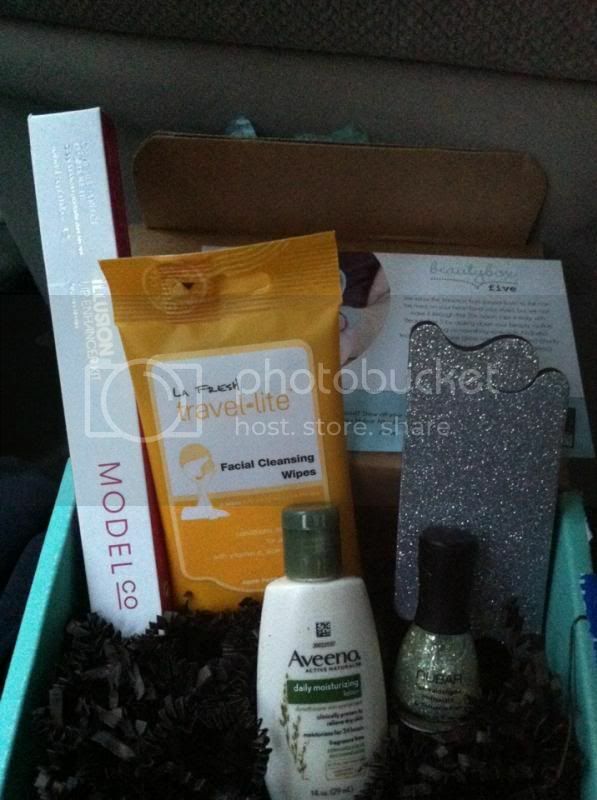 Overall, my familiarity about the products from #BeautyBox 5 sent me is great and useful. I love their Nubar nail paint as it has great glitter and can remove easily. I love it and I would surely subscribe to them. You can always try a one-month subscription for only $12.00 at www.beautybox5.com. Please follow them on Facebook, Twitter, Pinterest, and YouTube to learn about their new product updates as well as a contest that you might have a chance to win. A disclaimer: This is not a sponsored post. 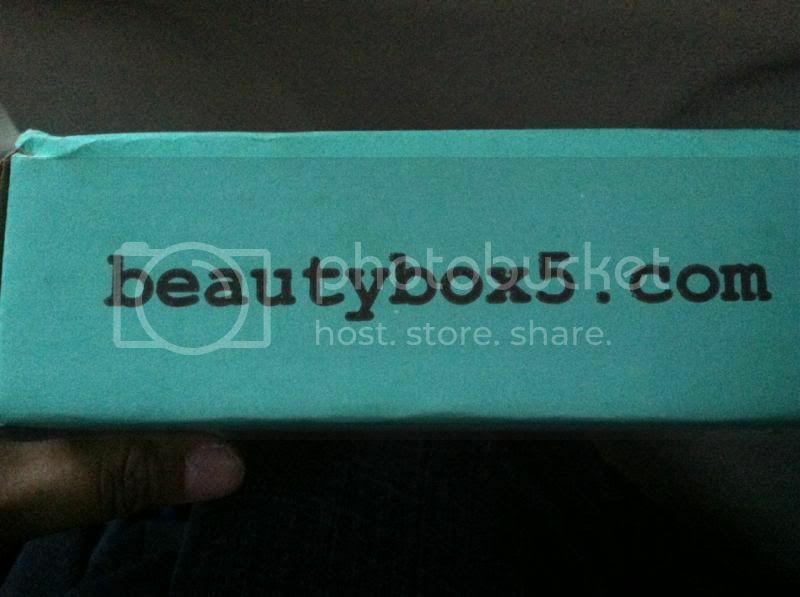 I received the #BEAUTYBOX5 Complimentary Box for free in exchange of my honesty review. The outlook I expressed is 100% exclusively mine. I love aveeno products. Their lotion are good for our skin. I love beauty boxes. I have used the Aveeno bu tnot the rest of the products, I want to check them out. Beauty boxes are such a fun treat. It is nice to open the mail and find a box of stuff to make you look and feel better. I love makeup or any beauty products. For $12.0, it's surely is a good price. I love makeup or any beauty products. For $12.00, it's surely is a good price! I haven't try these kind of deals, might be a good subscription. Sounds like some great items are in the box though. I am an Aveeno customer. I haven't tried any kind of beauty box subscription though. I'm considering of checking this out to be different. It's nice to have a monthly subscription box waiting for me. I will check their site. I wonder if the cost is OK for my pocket. Love Beauty Box 5! I get their monthly boxes.